Prints come in two types- fine art paper prints and metal prints, and come in sizes from 16x20 inches to 40x60 inches. Please inquire for custom sizes. Both paper and metal prints are excellent archival choices but their appearance is very different. Paper prints are printed on heavyweight Hahnemühle Photo Rag Baryta paper. Hahnemühle is considered one of the premium paper manufacturers in the world. 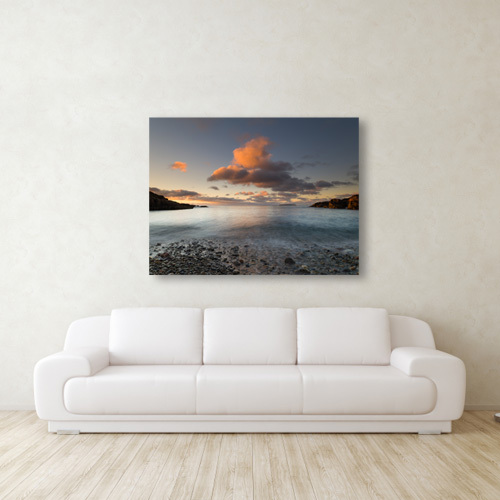 Metal prints are printed on a lightweight, glossy aluminum surface, which gives the image a luminescent glow and causes colors to really 'pop'. I limit the amount of prints that will be made from any given image. All prints in the sizes 16x20 and larger are limited editions. There are separate editions for paper and metal prints; for example I will print 25 paper and 25 metal prints in the 20-inch print size. Once each edition sells out, no more will be printed in that size, on that surface. As the edition nears completion, the last five prints will increase in cost until the edition is sold out. One final thing.... Metal prints are shipped to you ready to hang, no framing needed. Paper prints will need to be framed, so consider that extra cost when deciding which type of print you'd like.